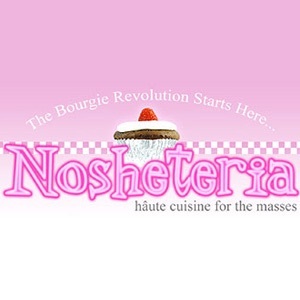 This is the Nosheteria, kind of like a cafeteria, where bites on food are served up to you like little morsels of goodness. Here you'll get a little bit of everything, the occasional recipe, the amusing observation, and the always entertaining story about my life (you're expected to care) in food. Haute cuisine for the masses!